Event Status: Closed to sign ups. Description: You can make this a day trip or an overnight trip just specify which when you sign up for the trip. This is a family-friendly all ages overnight trip or day trip open to all skill levels and abilities. The trip offers people the opportunity to test out their gear learn about nature and have the option of staying overnight. People will have the option of staying overnight or hiking out the same day. 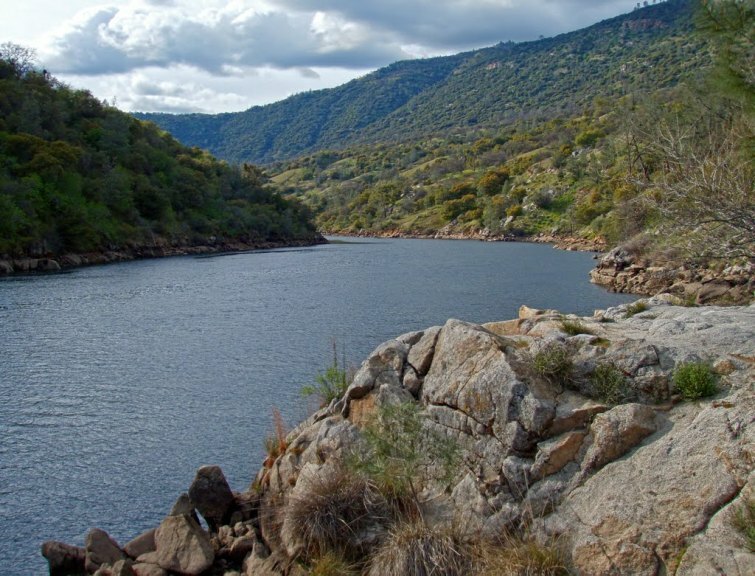 The project area is near Kerckhoff and Redinger Lakes with views of the San Joaquin River canyon and Redinger Lake. The work to be performed will be variable according to skills and circumstance. Food will be provided for Saturday lunch through Sunday lunch. Crews will hike in to work area about 2 miles one way in the morning and arrive back at the trail head at around 4 PM if they are hiking out the same day. Partners: (Who) REI, the U.S. Forest Service and the San Joaquin River Trail Council are sponsoring this event. (Meeting place) REI Store Parking Lot Fresno, CA. We will carpool or caravan to work location is 1 hour and 20 minutes from REI Parking lot. (What) The goal of this trip is to offer people the opportunity to test out their gear, camp overnight, learn about nature and build a new section of the San Joaquin River Trail as part of a 5 year project to open Reach 4. .
(Why) The San Joaquin River Trail has been a vision of many local community members for over 30 years. The San Joaquin River Trail Council has developed plans to build a trail from Friant to Mammoth. This project develops a new section of trail to connect with other existing segments. Eventually the trail will traverse the Sierra West to East. (How) Experienced crew leaders will lead and train volunteers in general trail maintenance techniques and safe usage of hand tools. All safety equipment for trail work will be provided. Please come prepared with long pants, long sleeve shirt and boots along with a 1-2 liter water bottle and a day pack. More detailed information will be sent to you after signing up. Activities: Most trail construction will consist of hand work. This will include construction of stairs, building the trail bed, construction of water bars, bucking of down trees, brushing of overgrown portions of the trail, and other standard trail construction needs dictated by the lay of the trail. Materials such as rock, wood or earth will be used to construct these structures. Dead brush may be dragged to the site to help break the visual line of the path or cover reroutes. Being out in nature, beautiful views, great conversations with other people interested in stewardship activities, great food and sitting around camp fires. Food: Saturday lunch though Sunday lunch will be provided.